Apologies up front if this is inappropriate - I’m not a regular here, don’t know if it’s frowned upon to bad-mouth a particular product or company. But, this seems worth posting. I’ve been using Yahoo e-mail for ages, prob some 20+ years. For a while it’s seemed to be creaking a bit, but now I think it’s just gone FUBAR. It’s often very slow to connect to - I thought it might be my e-mail client (Outlook), which was clearly getting fluky on its own, but I got a new client (eMClient), and the difference is clear: bing, bang, boom, G-mail’s fine, then it’s anyone’s guess what happens w/ Yahoo. I’ve gotten numerous messages that it cannot connect w/ Yahoo servers, a while later it goes thru fine. Yahoo has several times failed to recognize my password, then a second later accepts the exact same info, w/ no change on my part at all. But the kicker - the other day I got 3 e-mails that had been sent to me TWO WEEKS before I received them. They were sent from 2 different parties, at 3 diff times, so it was not a problem w/ the senders - they simply got lost in space, for 2 weeks, on Yahoo’s servers. These are 3 that I happened to notice, there may well be others that I didn’t notice or that got lost entirely. And on top of that, I’m paying for this? Yeah, time to do the G-mail thing. So, anyway, just some poss helpful info - if you’re using 'em, you might want to change. Onward. I’m not a regular here, don’t know if it’s frowned upon to bad-mouth a particular product or company. But, this seems worth posting. As long as you’re posting with concrete reasons and being polite, like you did, you’re good to go. Just to add on to this, pretty much every single Yahoo account was breached a few years ago. It’s official. If you had a Yahoo account in 2013, it was compromised. Relaying an honest experience with a produced is always allowed, as long as you’re respectful and truthful. Also, I’ve got some other bad news about Yahoo. 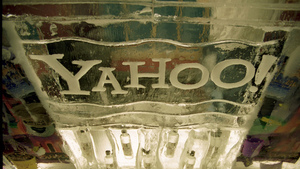 It appears that all of the user accounts on Yahoo in 2013 were compromised. At the time, they thought about 1/3 of the accounts were compromised, but Yahoo’s staff just recently upgraded this to all of their accounts. Personally, I’ve stopped using Yahoo completely. I used to use the Yahoo Groups mailing list feature, but I’ve closed up the groups I manage. Any future mailing lists will probably go through Google Groups or a Facebook page. So if you’re using Yahoo for email - yes, it’s long past time to move to another service. And if you do keep an account there for Groups or another service they offer, use a unique password - don’t use that password on any other accounts, and don’t store any private or confidential information on their servers. That’s good advice for any web service, not just Yahoo. I’ve migrated my Yahoo accounts to Thunderbird, and I’ve had so much success with that, I’m now slowly migrating my Google accounts to Thunderbird. I have to go slow because I have to notify so many companies and people of my new address/location. I’ve migrated my Yahoo accounts to Thunderbird, and I’ve had so much success with that, I’m now slowly migrating my Google accounts to Thunderbird. Eh? Mozilla Thunderbird doesn’t provide email. It’s only a piece of software to read email, like Microsoft’s Outlook. Or is there some small email provider named Thunderbird of which I’m not aware? I can send and receive emails via Thunderbird. I haven’t had any problems with Yahoo. I learned a long time ago not to upgrade to new Yahoo software until I have no other choice since their new software tends to be buggy as a flop house bed when it first comes out. I’ve changed my Yahoo password several times since 2013 so that hacking is not a worry for me. I’m strongly considering getting my own domain, though. This is true. You need to treat all web sites as if they can be breached. Passwords are no longer safe, so the ideal thing to do is to use a password manager; if you need to use an online one, use something with two-factor authentication. I think that FUBAR, like a few other acronyms, has long since transcended and become its own word. In fact, I learned about FUBAR in a Christian school’s English class. What’s wrong with FUBAR? It merely means Fouled Up Beyond All Recognition, doesn’t it? Just for kicks I logged in with my Yahoo account… I don’t have any problems with them. Their news seemed to have a definite anti-Semitic bent for a couple years which I complained about but seems to have improved. And I kept getting hacked from Russia and China a few years ago also. That said, I simply chose a much stronger password and didn’t happen anymore. I too bad a problem with outlook but it was that I couldn’t remove my Yahoo acct from it. So far I’m not having any problems with anything anymore but I just go direct to the Yahoo app or site. As I’m responding it’s like I’m begging to keep grandma on life support for years but I’m really not. Lol She needed some surgery with a better dr, meds and all is well now. It’s like she’s beating me at tennis. I also have not problems with Yahoo, and have kept the Old Format as long as possible. Works really well and hope it get’s better with time and not worse. This is because I like the layout very well, easy to use etc. Will keep using it as long as possible. Still, Thunderbird is just a client. You still need a server to connect to, else those emails won’t go anywhere. Furthermore, you don’t change email addresses to use Thunderbird, because, again, it is not a server. It is merely a client. Back in my old Army days (circa 1968) was used this term for difficult to repair equipment, but “Fouled” was not the first word back in those days. Still isn’t, for most people. There was a reason I wrote Fouled in italics and a winky emoticon. I was being a wee bit facetious. The term goes way back before '68, btw, before either of us were born. DILLIGAS (from the same groups)? I’m still using Yahoo’s groups because I think I have a better reason not to use Google: the SJW/censorship situation. This is not just about one employee being fired for a memo that leaked – Google’s Youtube has begun actively taking down or demonetizing the accounts of conservatives. Apparently to them, any viewpoint to the right of Pelosi is now “hate speech”. Free speech on the net is in trouble if these giants are allowed to drive content they disagree with off the Internet. We must resist any more mergers among media/internet/telecom giants, and any regulation that will make it harder for new competitors to start up.